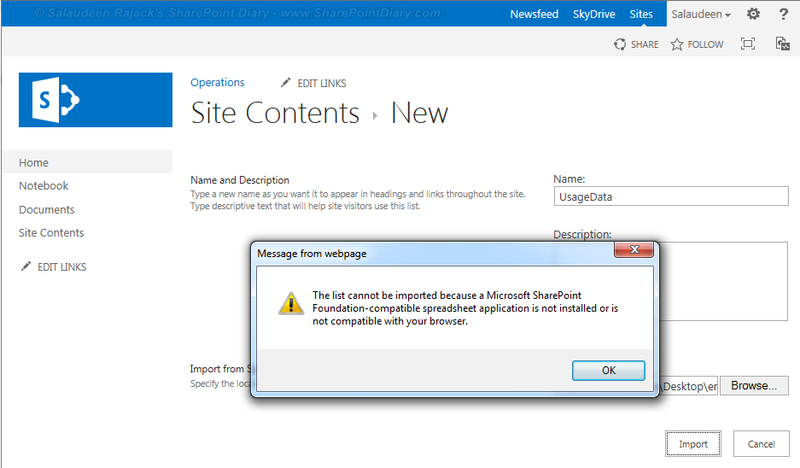 Error: The list cannot be imported because a Microsoft SharePoint foundation-compatible spreadsheet application is not not installed or is not compatible with your browser. Solution: Use Internet Explorer 32 bit version! How to Open Internet Explorer 32 bit version? 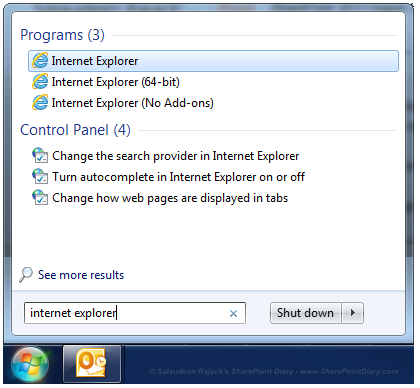 Go to start >> Type "Internet Explorer" and pick the "Internet Explorer" link as in this screenshot. Error: The specified file is not a valid spreadsheet or contains no data to import. I'm sure the data is valid and in right format. I know the data is in right format, What's wrong? 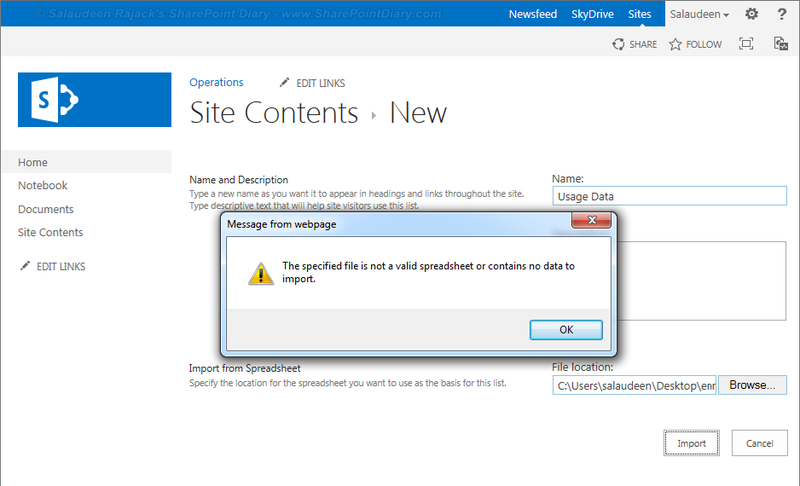 Solution: Well, SharePoint 2013 expects your SharePoint 2013 site to be in Trusted Sites List! So, Add your SharePoint site to Trusted Sites zone. Go to Internet Explorer >> Click on "Tools" Menu >> Internet Options >> Security >> Trusted Sites >> click on "Sites" button and Enter the URL of your SharePoint Site >> Click on "Add".